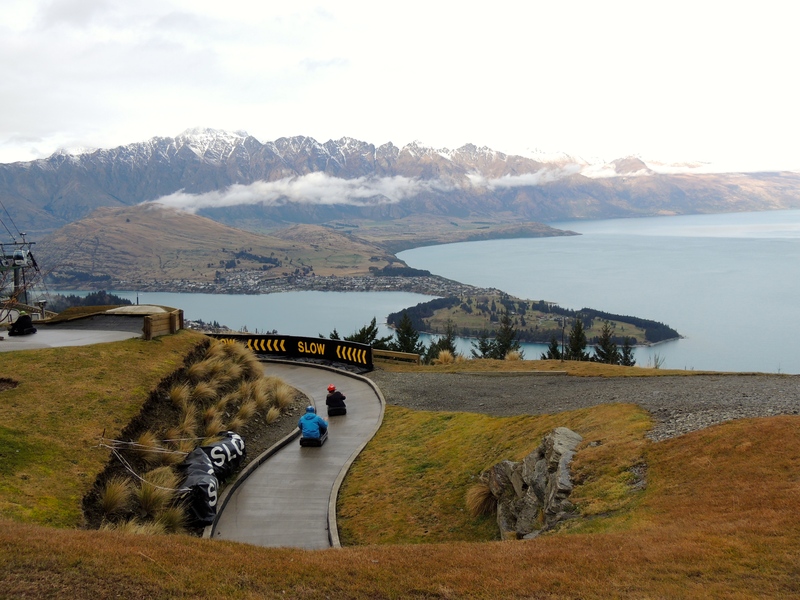 Queenstown: A Solo Adventure – These Two Eyes! I intently stared out of the window, camera in position as we descended out of the cloudbank and into view of the vast snow tipped mountains called the Remarkables. This landscape is absolutely extraordinary. 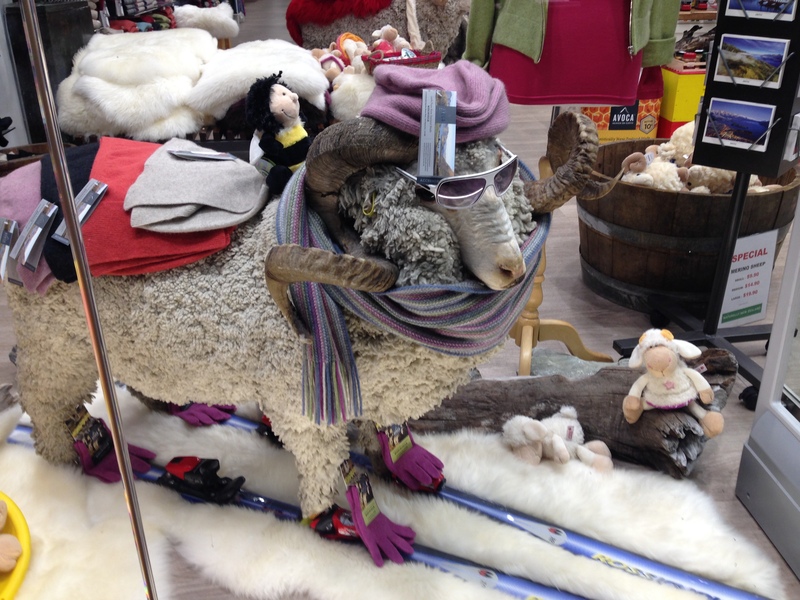 Welcome to Queenstown! A buzzing town of snow bunnies crossed with adventure sports, breathtaking scenery and world-renowned pinot noir sipped against the backdrop of white capped peaks. “Are you skiing?” “Snowboarding then?” “So, what are you doing here?” My reply was simple, I’m here to eat well and drink wine. In a town where every other backpacker, boys weekend or family vacation seem to hit the slopes or jump off either one of the tallest or oldest bungy’s in the world, is it possible to enjoy yourself as a single traveler not in the slightest interested in the above? Sure is. I’d even rate Queenstown as not only my number one favorite destination in New Zealand but at the top of my books all around. So what’s there to get up to? I hung with the locals at Atlas Beer Café, deemed Queenstown’s home of craft beer including microbrew Emerson’s (go with the English Porter on the hand pump) along with some guest taps and locally sourced food, like the lick smacking steak with demi-glace and Café de Paris butter, served with a side salad and fries. The Find, previously known as The World Bar, was a great place to go solo. Maybe it’s just because Queenstown, unlike many Aussie bars, actually have bar stools at the bar. There’s nothing better than saddling up at the bar for a snack staring up at the teapots which house cocktails for the backpackers who trickle in later in the evening. And lastly, cozy, dimly lit places like The Bunker and Bardauex offer extensive New Zealand wine collections and a soothing, chilled out atmosphere with big comfy sofas around outdoor fire pits or indoor blazes. This is between all of the countless bars and nightclubs including Cowboy’s, Winnie’s and Searle Social Club amongst many other late night spots where you can find inebriated late teens and early twenty-something’s, and myself on one or two occasions, dancing the night away. But then let’s not forget it was the wine I came for. The Winery is a storefront that offers a taste of over 80 different New Zealand wines. Grouped by variety, the philosophy of this place is simple, yet expensive. Insert your “wine card” and choose from a taste, half glass, or full glass of some of the most desired wines in the region. At about an average of $5 a taste, I tried a few high-end Pinots then called it day. When in New Zealand it’s all about the lamb, oysters and prime cuts of beef. I felt I was back in Melbourne while dining at Madame Woo, an eclectic modern Asian restaurant with delectable sticky pork belly dishes and thick curry’s set to tune of some of my favorite bands like the Kooks and Cold War Kids. While Vudu Café is rated the number one brunch spot, you’d be lucky to score a seat. Instead, Bob’s Weigh Café was a smaller, simpler option serving great muesli and rumored the best coffee in town. Skiing, snowboarding, snowshoeing aside, in town there are still a few options. And none of my above experiences would have been so great if I was truly alone in it all. There were kind, approachable people that I met along the way. From an impromptu pub-crawl to discover the town with a friendly Norwegian, to the American and Aussie girls from my wine tour who invited me along to dinner and the handsome Irish boy who bought me chocolate/chocolate-chip ice cream. It was only on the last day as I sat in a café to escape the cold and rain before flying back to Australia that I had a sense of being alone, but luckily a book and one last English Porter did the trick.